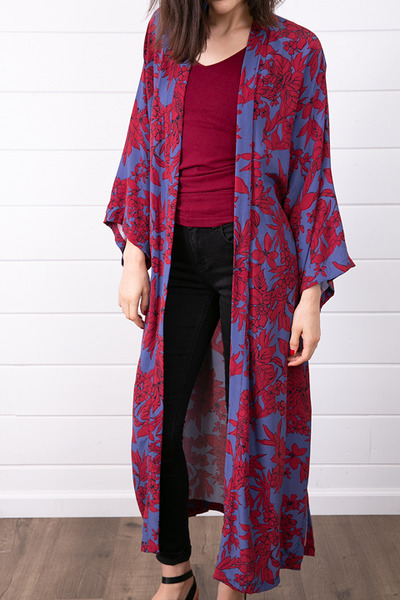 The Morning Robe made by Stillwater can be worn as a robe or kimono to fit your mood. 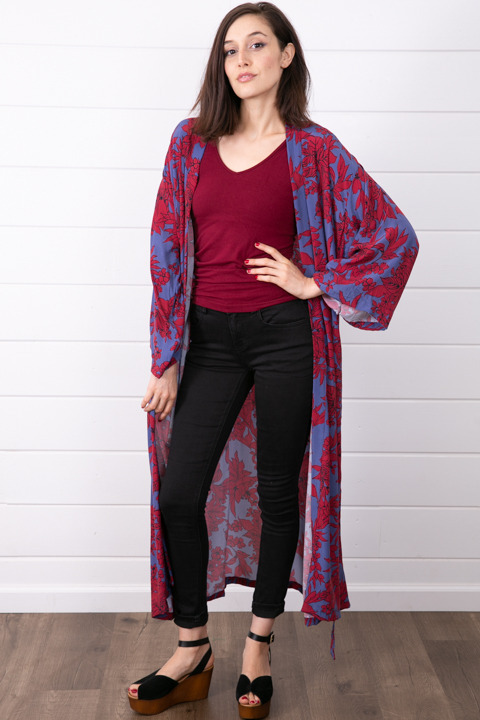 Pair this beauty over a simple dress for a little added warmth or wear over your jammies and sip your coffee in the morning. Featuring adjustable waist tie, 3/4 length flared sleeves, side pockets and the most gorgeous crimson floral print. 100% cupro viscose. Dry clean.